I noticed this to on the RATP MMCs. Not happy about the loss of seats, perhaps a slightly longer bus is needed so as not to reduce the overall number of seats on the lower deck. Probably like two seats no one cares about, not really a need for so many seats when many people using buses generally using buses for quite short distances so I’m all for it sod the the two missing seats looking at “http://www.buslistsontheweb.co.uk” mentions the new spec have 23 seats on the lower deck instead of 25, there are a lot of priority seats on the lower deck anyways. Amount of people trying to board buses with buggies and Wheelchairs having arguments so a bigger space is needed. You've hit the nail on the head, the bigger you make the wheelchair/buggy area the fewer seats there are and more elderly/disabled people are forced to stand. 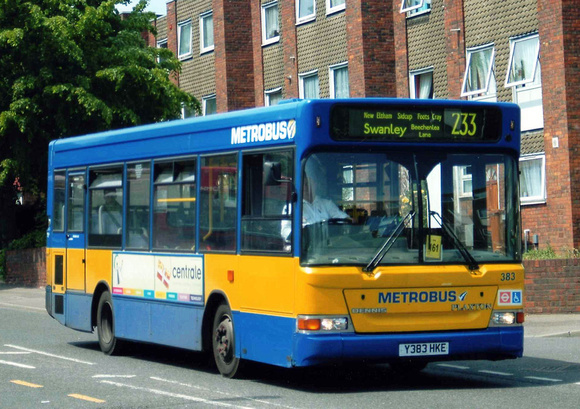 Metroline: TfL spec TE924 escaped onto the 84 yesterday. Three of the routes usual "country" deckers were out too. Never seen so many deckers on the route on Saturday! Yeah the buggy space on the Geminis are a pain. A lot of the time, you can't even fit two buggies in! Really bad on a route like the 180 which carries loads of buggies! And TfL have finally come to their senses and have separated the 65 from the N65, as seen in Ealing Broadway and Richmond. It's only in tile form from what I've seen; had to catch the E1 so couldn't check in Ealing and there wasn't enough timetable space to display it at Richmond when I had time to check. I just saw a 51 blinded for 'Woolwich Market'. EDIT: It's a new road safety advert to encourage people to drive slowly on built up roads.